Rince and de-vein shrimp, drain and cut each into 3 pieces; mix with rice win, salt, cornstarch and MSG. Add bamboo shoot and chopped ginger root. mixing thoroughly. 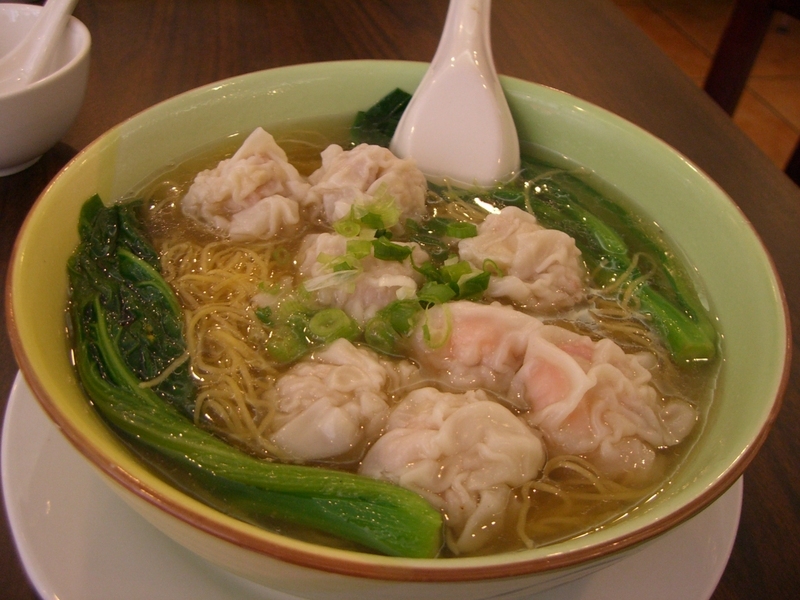 Taking one won-ton skin, put a teaspoon of filling in the center. Trace water with fingertips along edge and fold over to form triangle with filling in the center. Bring the two outside corners together and using another drop of water, pinch the 2 edges together to seal. Boil 6 cups of water; add won ton and green vegetable; cover. When won tons rise to the surface of the water remove, won-ton with green vegetables drain and portion into serving bowls with soup and seasoning. Heat all above ingredients to boiling. Put these into each individual serving bowl.